Nestled in the foothills of the Rocky Mountains, our Intensive Residential services are designed for girls and boys, ages 4-13 on admission. 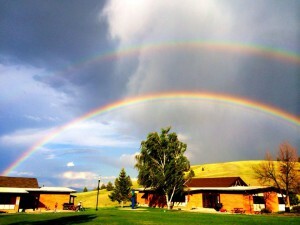 Thirty-two children live in four cottages on a 40 acre campus in the capital city of Helena, Montana. The length of stay varies from 15 – 20 months. Our highly integrated, intermediate residential services structure daily living experiences, clinical therapies and academics, and facilitate optimum healing opportunities. Treatment includes clinical and educational assessments, individualized treatment plans, individual, group and family therapies, medication management, an accredited on-campus school offering a full spectrum of educational services, and a variety of outdoor and community activities. Our interdisciplinary team of on-staff professionals includes a psychiatrist, clinical psychologist, registered nurses, licensed therapists, milieu counselors, certified teachers, and support staff.